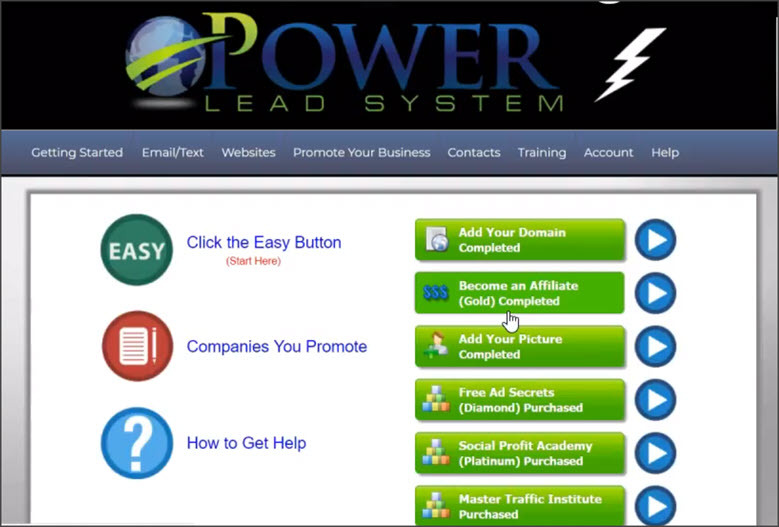 Is Power Lead System a MLM program? 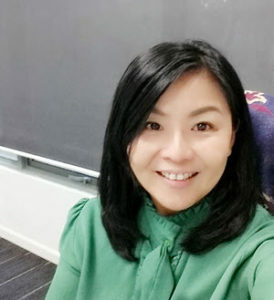 Recently, I was approached by a friend to join Power Lead System, an affiliate marketing system that can help small businesses generate leads and increase sales. Members who purchased the system will be given an option to grab the “opportunity to participate in its affiliate program”. Its affiliate compensation plan is quite similar to Multi-Level Marketing plan like the one offered to members of Motor Club of America whereby the sponsor is able to get a cut of commission made from sales of its team. As there are too many MLM scams out there, therefore I am pretty skeptical about how legit is Power Lead System. With initial look into its marketing plan, Power Lead System did not fit 100% into the definition of MLM because the overriding commission is said to be paid out by the company as “bonus” and not taken from commission made by any downline. Whether this program is a MLM or not, the price of joining is quite high from $30 per month subscription up to the highest plan of $1,497 one-time payment. With such crazy pricing and the hype of making easy money promoted by its affiliates, I decided to find out more information about Power Lead System before giving you my honest review. After doing extensive research from both negative and positive perspectives about this system, here's Power Lead System Review that I've prepared for you based on my critical analysis. What Is Power Lead System? How Does Power Lead System Works? How To Make Money With Power Lead System? Is Power Lead System For Beginner? 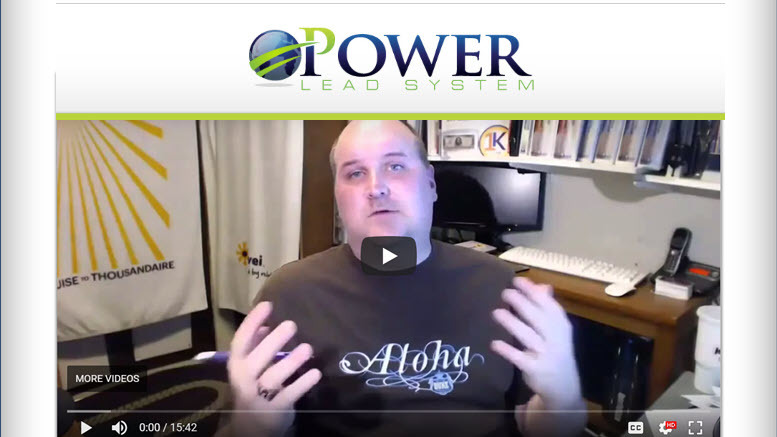 Summary: Power Lead System is a cloud-based system comprising tools and training to teach people how to promote any business online, primarily by creating sales funnels using customized capture page with some done-for-you marketing campaign. Members make money not from their existing business but by recruiting people to promote Power Lead System. The business model lies in a grey area between affiliate and MLM program. Power Lead System is said to be an all-in-one business box that can help small businesses grow leads and increase their revenue. It is a cloud-based system whereby members will be given a Power Lead System login to access member's area after they signup. This cloud-based system comprising of tools and training to teach people how to promote their business online, primarily by creating sales funnels using customized lead and sales pages. Members are also able to host their web pages inside Power Lead System once they sign up for the lowest price plan. Power Lead System training that you received varies according to the plan that you choose. In general, you will get an average quality training if you start with their lowest plan. If you own a small local business (those less than 10 people), these training should be sufficient for you to start applying on your business to generate leads in local context. But if you want to grow you business globally, you might need to upgrade Power Lead System training to the next level, which means you need to pay more. Similar to the program CB Passive Income 5.0, Power Lead System also has a done-for-you campaign that can automatically generate income for you if you grab the opportunity to become their affiliate. Please take note that the word “automatically” is not really automatic at all. There are work involved with steep learning curve. You still need to pay additional for marketing campaigns to generate leads. And the thing that I can't accept is that you need to PURCHASE the “opportunity to promote Power Lead System”. This means becoming their affiliate is not free like those provided inside popular affiliate networks. Now, let's get into details of this system so you can decide whether Power Lead System is for you. Capture Page Creator: There are many templates you can choose from to build landing pages such as opt-in page, sales page, webinar page, training pages, etc. You can customize everything inside these templates to suite your current business. Autoresponder: This works hand in hand with the capture page creator. As soon as your leads put in their email on your capture page, the autoresponder automatically sends emails to these leads. Contact: This is where you store all email or phone numbers of all your leads so you can continue to connect and promote your offerings to them. These tools are not new in the online marketing industry. If you are just thinking to use these tools, then I suggest you to read the best plugin I use to do email marketing. It's cheaper than subscribing to Power Lead System. When you pay for basic membership, you are only provided with basic training. In fact, many of these training can be found inside the plugins that I used for email purpose. Overall, I won't pay such high subscription fee for only basic training. There are other better and cheaper option that provides both advanced and trending marketing training. One thing that might attract people to buy into Power Lead System is its money making compensation plan which will be discussed next. Unlike most affiliate program that are pretty straightforward, Power Lead System is different. Its compensation plan is neither a 100% affiliate system nor a 100% MLM system. In fact, its compensation plan fall into the grey area in between affiliate and MLM system. This is a very clever compensation model but also mostly used in pyramid scheme or scam program, that makes me feel very uncomfortable. 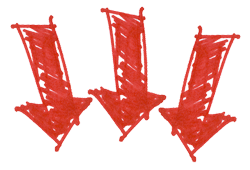 One downside of this money-making program is that when you failed to purchase a certain price-point product (or package) inside Power Lead System, you won't be able to earn overriding bonus when your downline make a sale from the same product. To keep it simple, you need to buy all the products from a subscription of $30 per month up to $1,497 for its highest range product in order to enjoy all the overriding commission or they called it “bonus” to avoid being labelled as MLM. Ok, becoming an affiliate of Power Lead System is not free. There is a $23.97 per month to pay if you want to participate in this lucrative compensation plan. On top of that, only member who already purchased the $30 per month PLS Gold package will be eligible to pay for this affiliate opportunity. Seriously, I am not a fan of “pay to earn a commission” scheme. I don't think any legitimate program out there will need you to pay a monthly subscription of $23.97 in order to earn a commission. Product Feature: Basic tools & training. Tools include lead capture page templates, email autoresponder, contact management, web page hosting and weekly online marketing training. You won't get the advanced training and neither will be able to access more powerful sales page templates when you subscribed to PLS Gold. If you want advanced training and better lead capture templates, you'll need to pay for upgrades. You won't get anything by selling the “affiliate opportunity at $23.97 per month”. But if your downline managed to earn $100 commission (means sold 5 Gold membership), you are going to make $50 overriding bonus from them without doing anything. Product Feature: Training on Facebook Ads, how to sell T-shirts and eCommerce. Product Feature: Training on traffic generation such as YouTube, blogging, email, sales funnel, and over time new training will be added. No, Power Lead System is not a scam. It pays on time to all affiliates every Wednesday and is a stable program that has stood the test of time. However, people who managed to make money promoting this program are mostly experienced marketers who are willing to spend extra time to build their team and has extra money to pay for advertisement including buying all the upsells inside Power Lead System. Unlike most affiliate program where you reap what you sow, the level of success you have with Power Lead System will highly depend on the sharing and coaching provided by your sponsor, particularly sharing about their tested and proven campaigns. Like MLM system, without a good sponsor, it will be challenging for anyone to make money. Your sponsor must be really good in implementing online marketing campaign. No matter how hard you try or how much money you spend on advertising to sell each product, your sponsor gets a cut without doing anything. Unless you can sponsor a team of people who are also willing to become affiliates, otherwise you are not going to earn much passive income by just selling PLS Gold. Don't forget that the monthly subscription fee of $53.97 is not cheap. With such high price to entry, not all people will be willing to continue paying for subscription when they don't see any result after 6 months. Paying almost $1,000 (6 months affiliate membership + PLS Gold + PLS Diamond + PLS Platinum) for an “affiliate opportunity” is a very high risk for newbie who knows nothing about online marketing. If you add in $1,497 to buy Master Traffic Institute, your total investment would will almost be reaching $2,500. Unless you are a risk taker and won't become broke if you make a loss, otherwise, I won't encourage you to join Power Lead System. Seriously, I don't think Power Lead System is for beginner. It is not easy to sell high ticket products when you have no experience with affiliate marketing. As a beginner, I would advise you to start affiliate marketing with something that comes with step-by-step training and yet won't cost you an arm or a leg. Look, I am not saying Power Lead System is bad. In fact it is a great program. But the level of risk to shoulder is just not the way I want to build my business. Personally I do not like to enter into grey area as well. I prefer something that is straightforward and within my control. The type of compensation plan that is neither affiliate nor MLM system is not suitable for me. If you really want to master all the skills taught in all stages of Power Lead System and earn a decent 6 figure income, there are in fact cheaper alternatives out there. I started my online business with an awesome community of small business owners whereby the price that I pay for is only a very small fraction of what is paid by members of Power Lead System. Inside this community, you can learn how to build website, lead capture pages, blogging, SEO, email marketing, sales funnel, YouTube, paid advertisement, eCommerce, dropshipping and other marketing strategies that are currently trending. You are also able to create 2 websites for free when you sign up as free Starter Member. I've make friends with ordinary people who managed to earn 6 figure income as fast as 8 months by starting out as a complete newbie. They achieved this without even paying for any advertisement. Of course, this comes with consistent hard work and persistence. 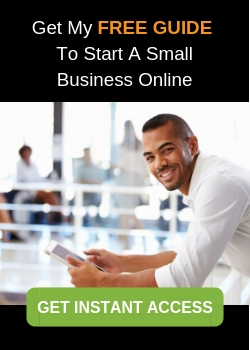 If you are like me who is not a risk taker yet wouldn't mind to put in effort to build a small business online, then I suggest that you get my free guide to start with. In this guide, you will find the exact system that my community and I use to build an online business, starting out as a complete newbie. You will also meet people who managed to earn 6 to 7 figure income by following the proven system. Alternative if you want to start immediately, you can click here. With this Power Lead System Review, I believe you already have a better understanding of this program. If you have any question to ask or would like to share your thoughts, please leave me a comment below. Should you find this piece of content valuable, I hope you can share on your Twitter and Facebook. 12 Comments on "Power Lead System 2019 Review (Is It For Beginners?)" Thank you for your informative article regarding the Power Lead System programme. From your description this does not seem like a product for a relative affiliate novice such as myself. More for someone with a wealth of experience, a fair of bit of capital behind them who is tempted to diversify into a slightly different market. Are Power Lead Systems quite an established brand as it will be quite interesting to monitor their progress as a company over the next few years with their unique business model. Yes, this product has stood the test of time. However, as online marketing industry evolves really fast, selling T-shirt is no longer the trend now. But it is still taught inside Power Lead System. I guess they might need to start producing more trending marketing training in order to compete. Unlike the program that I started my business with that provides weekly new training, PLS doesn’t. In the long run, it will lose its shine soon. Thanks for a great article! I had honestly never heard of the Power Lead System, but if I had, I don’t think I would have gone anywhere near it. That price is way too much for someone just starting out to commit to…maybe even someone who is experienced as well. It just seems too much risk to shoulder. Thanks for opening eyes and for your recommendation for Wealthy Affiliate. I did a lot of research before signing up and saw a lot of other scams that I thankfully avoided. Thanks for looking out for us newbies! You are welcome Steve. I really enjoy spending time with community inside Wealthy Affiliate. Everyone are so friendly and helpful. Do connect with me inside this platform too ya. Hi Florence! You are right, we need to be sceptical about online business programs cause there are many scams between them, such scams are usually get-rich-quick scheme. As you said the Power Lead System doesn`t seem a scam but it definitely isn`t for beginners in affiliate marketing, I wouldn`t use it as a newbie. Have you tried many other affiliate programs on your own? Very good review, thanks for sharing with us! True. I wouldn’t want to join a system or program that provides nothing other than encouraging members to buy into all sorts of upsells to earn a commission. If you are serious to start a small business online, I suggest you to try out the program that helped me start mine. Inside this program, you can find many success stories on how complete newbies managed to achieve 6 figure or even 7 figure income without paying for any form of advertisement. You can also learn email marketing, SEO, create website, create video, setup Facebook marketing, dropshipping, eCommerce and any other trending marketing tips to make money online. Here’s the program review I’ve written. Hope this helps. I believe I learned everything I needed about Power Lead System from your review, One thing that doesn’t make sense to me is when affiliates are require to buy the “license” to promote this program. I don’t think any reputable affiliate network charges a fee to affiliate. True also. This is the first time I’ve come across such an affiliate plan too. Even the Super Affiliate System that has 6 tier membership options do not require you to pay additional affiliate fee to promote their system. Despite this SAF seems like another MOBE and Digital Altitude scam, at least you don’t have to pay anything to them other than buying their product to promote this product. Seriously, I won’t even consider Power Lead System despite it is not a scam. In my own opinion I don’t think spending a fortune as a newbie on a programme you know next to nothing about is a no no for me. I would rather build a niche website where I can promote other people’s products and get paid as an affiliate. Can you recommend a program that teaches how to build a website yet suitable for beginner? Best if there’s one that won’t involve paid marketing. Of course there is. You should try out Wealthy Affiliate. Inside this program, you can find all training about online marketing, particularly on how to build a website to make affiliate commission without the need to pay for advertisement. This is the first time l heard about Power Lead System, and l totally agreed with you that PLS is a legit company but you have to purchase their high ticket product in order to be eligible for overriding commission. In any affiliate marketing business, you don’t need to pay to become an affiliate to earn commission. As for PLS, the only way to make money is through recruiting of new members although you can promote your own business. In addition to the monthly fee, you have to spend money on buy ads to generate lead although they have “Done for YOU” system. I never trust autopilot system. Power Lead System is definately not for me, and l am happy to be a part of the Wealthy Affiliate community. This the platform where l learn affiliate marketing and building my online business just for a fraction of cost. Thank you for reviewing PLS and l enjoy reading it. You are most welcome. I love to explore new program so I am able to write more honest reviews to prevent others from being scammed or making the wrong decision. At this moment, I still prefer to drive free traffic for my business. But this doesn’t mean I won’t try paid traffic methods like solo ads or search ads. In fact, I’ve already identify a program named CB Passive Income that I’ll join to start with paid advertisement. You might want to check it out. It’s few of the top program inside Clickbank. 100% legitimate.